For ash and gypsum pond management and closure, we know that utilities need the benefit of a customized approach that fits your operation. Whether it’s daily maintenance excavation, a clean closure, a cap-in-place, or other innovative solutions such as our EnviroDitch®, Charah Solutions provides the proven experience and expertise to handle every regulatory, engineering and technical issue. 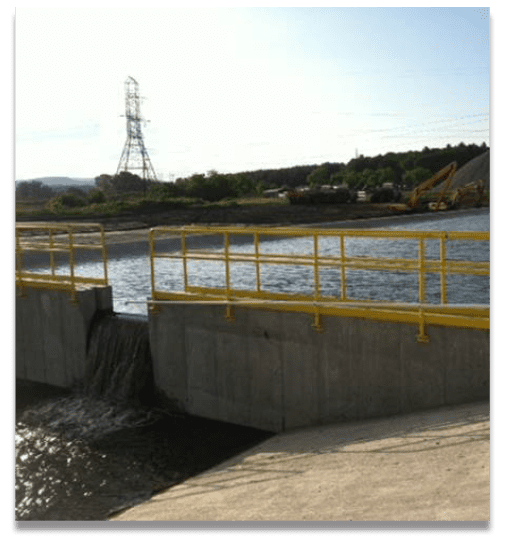 We take pride in our ability to customize each coal ash impoundment project to suit the specific needs of the utility and ensure compliance with all EPA mandated coal combustion residuals (CCR) regulations and deadlines. Charah Solutions has proven experience in CCR pond management for power plants that use a wet slurry method for ash handling. Working in ash ponds or managing the slurry ash can present unusual operating challenges, often requiring customized solutions. Charah Solutions’ decades of experience allows us to address the most difficult access requirements. We have a proven track record in performing challenging ash pond excavation projects, while supporting ongoing operating conditions at the power plant without interruption related to ash management. We also can meet the utility’s ash pond management needs by performing dredging, excavating or implementing a dry removal process. Whether the needs are for excavation of settled ash from an active pond or maintaining daily removal of current production ash, Charah Solutions has the experience to complete the operations while keeping the pond operating in compliance and ready to receive ash slurry. Whether it is clean closure or cap-in-place, no two pond closures are exactly the same and utilities need the benefit of a customized approach to provide exact solutions that each specific challenge requires. At Charah Solutions, we partner with utilities at every phase of the process to develop comprehensive pond closure plans to meet the EPA mandated guidelines and deadlines. Our proven experience and expertise address every regulatory, engineering and technical issue – on time and on budget. In addition to traditional excavation techniques and coal ash dewatering methods, Charah Solutions has designed and constructed EnviroDitch®, a patent pending rim ditch system. The EnviroDitch allows the utility to control sluice waters and comply with existing EPA regulations while minimizing reliance on ash impoundments for final ash disposition. The EnviroDitch diverts water into a lined basin, leaving the existing ponds dry for excavation. It operates similarly to a traditional rim ditch, but uses innovative techniques to maximize flow controls and utilize specially developed flocculant for increased settling of solids, reducing Total Suspended Solids. To meet the challenges of current regulatory requirements on ash surface impoundments, Charah Solutions provides total technical solutions that offer utilities an economic alternative to traditional approaches. To address the EPA’s recent CCR Rule and subsequent deadline for implementation, Charah Solutions has innovative engineering solutions to assist our customerss from start to finish. New EPA rules include requirements that increase the costs of wet slurry ash handling and/or will likely result in closure of ash surface impoundments. New effluent guideline changes also increase the costs involved in conventional wastewater treatment. As a result, traditional approaches to dry handling of ash leave utilities with segmented choices that are expensive and leave a large part of the “miscellaneous wastewaters” without an adequate solution. With traditional approaches, dealing with the non-ash wastewaters requires separate treatment systems that drive up the total compliance costs. With Charah Solutions you get one solution that addresses multiple compliance programs at an economical price, ash surface impoundment problems solved and non-ash wastewaters treated all in one simple process. Charah Solutions offers an economical integrated solution for addressing ash rules and effluent requirements without disruption to the power plants. Charah Solutions’ integrated solution will allow plants to cease sluicing ash well before the EPA mandated deadline and provide treatment capabilities for meeting the upcoming effluent guidelines.